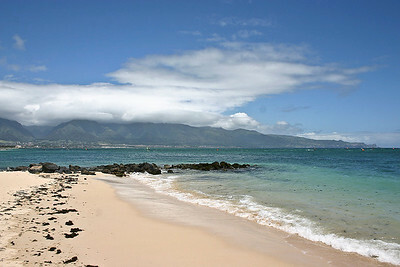 Scenery of Maui's Beaches & Coastlline. 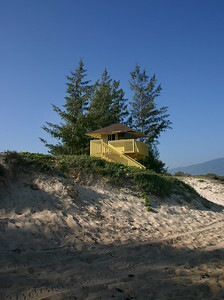 The Lifeguard's Tower at Kanaha Beach Park, Kahului, North Maaui. 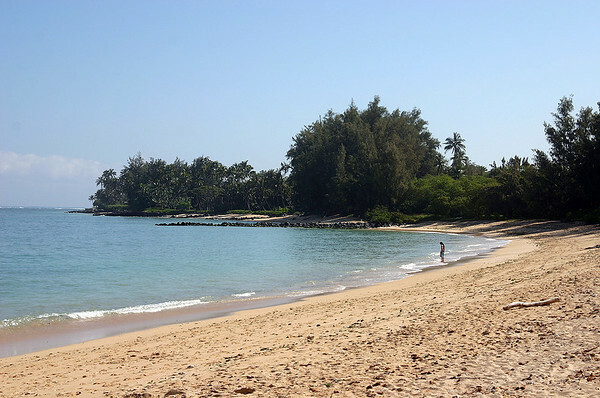 A quiet beginning to another Maui day on Kanaha Beach. The haze hanging over the West Maui Mountains (background) is"Vog", volcanic smog blown across the channel from the Big Island, which was experiencing a lot of volcanic activity that week. This is a "calendar shot" for sure! 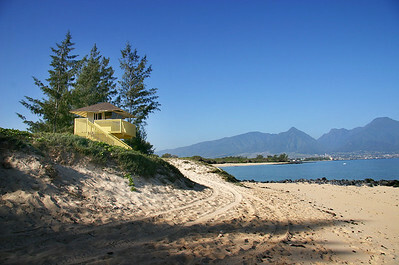 Early morning at Kanaha Beach, Kahului, Maui. On the berm overlooking Kanaha Beach, Kahului, north Maui. 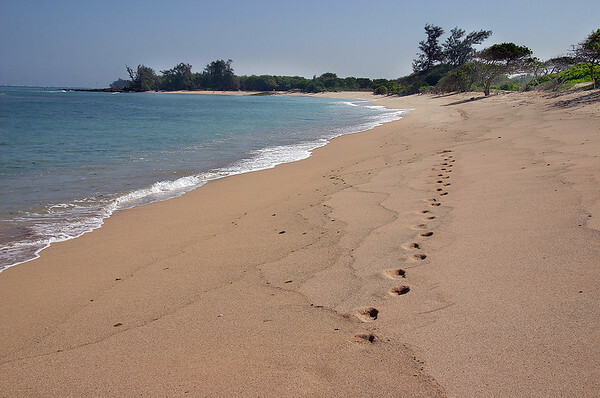 Early morning on Kanaha Beach, Kahului, north Maui. The view down the beach from the Lifeguard's Tower, Kanaha Beach, North Maui. 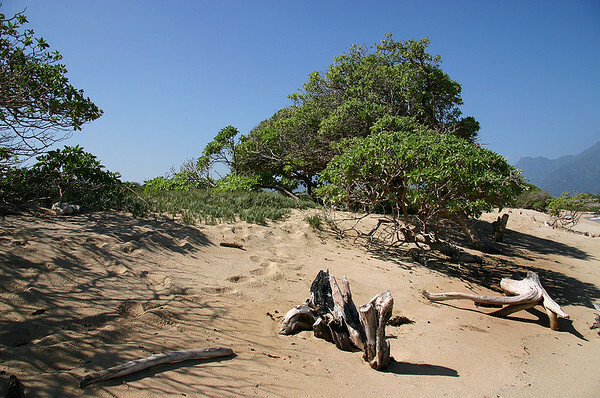 The sand berm behind the current beach sands marks the point where waves generated by the most severe storms drive sand and debris high onto the shoreline. Another older berm a few meters inland marks the location of an older beach. 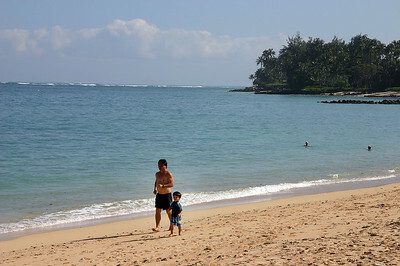 Kanaha Beach, North Maui. 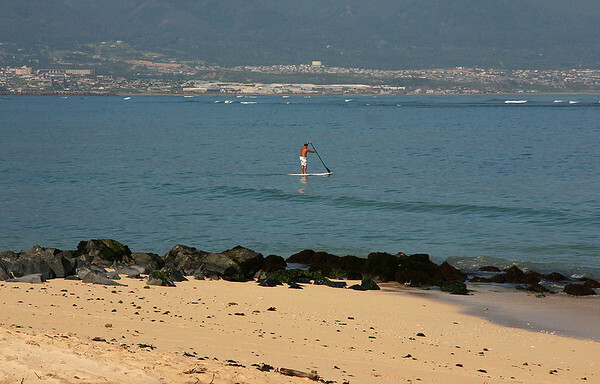 A "traditional" Maui waterman out on the water before the winds bring the big waves. 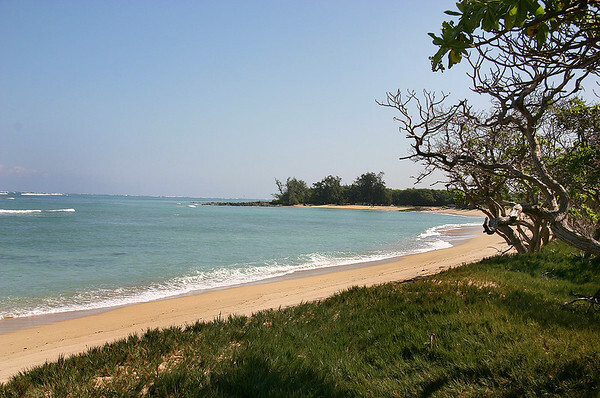 Kanaha Beach, Kahului, north Maui. 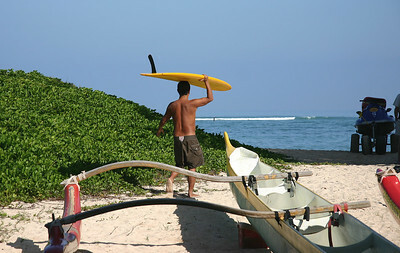 A traditionalist paddling his board in the early morning surf at Kanaha Beach, Kahului, North Maui. 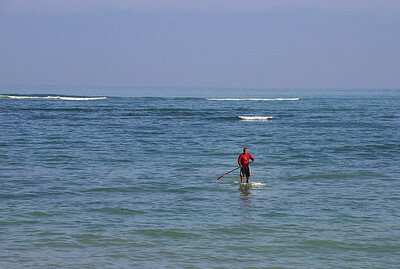 A morning surfer contemplates the wavesets at Kanaha Beach, Kahului, Maui. 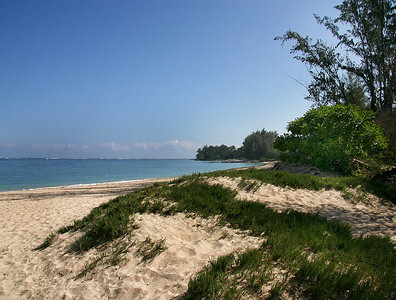 Kanaha Beach, near Kahului, north Maui. 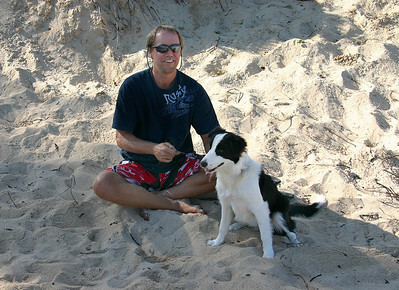 A dog and his friend out for an early-morning walk near the Lifeguard Tower on Kanaha Beach, north Maui. In the hazy distance is the skyline of the West Maui Mountains. 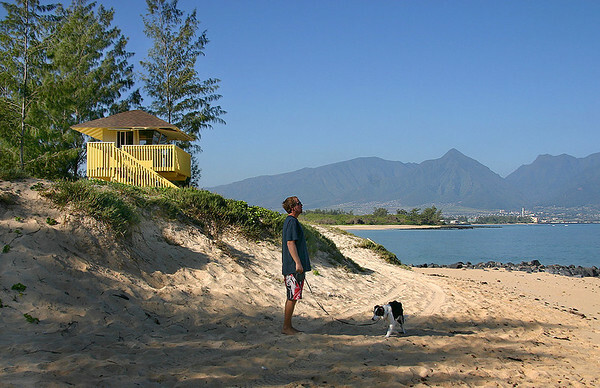 Dog and friend look forward to a quiet morning walk along the shoreline at Kanaha Beach, Kahului, north Maui. 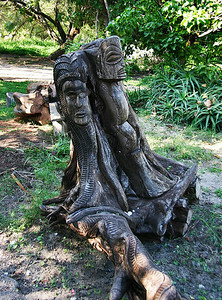 An old tree stump decorated in situ with a pair of rather fine tikis. 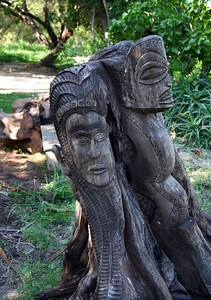 At the Canoe Hale, Kanaha Beach, Kahului, north Maui. Early morning, Kanaha Beach, Maui. 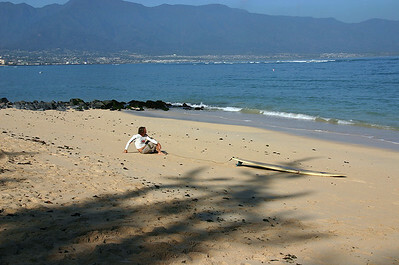 Kanaha is fairly typical of Maui's white-sand beaches. First on the beach. Kanaha Beach, Maui. Junior sets the pace for his papa's run. 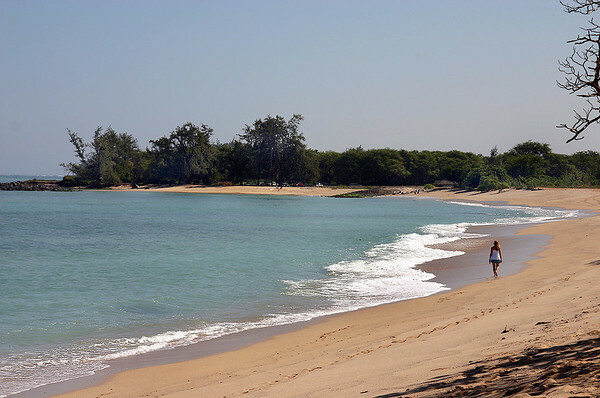 Kanaha Beach, North Maui. Racing canoes fitted with their outriggers, prepped and ready for the day's paddling. 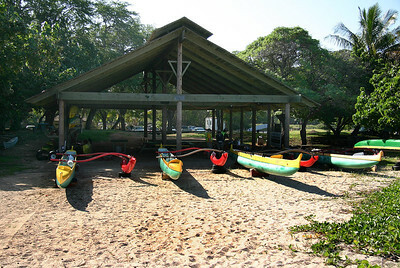 Canoe Hale at Kanaha Beach, Kahului, north Maui. 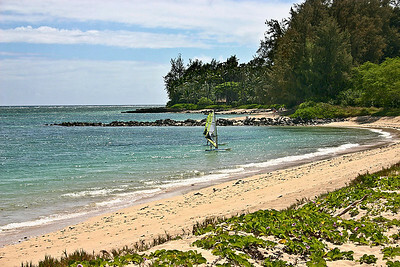 Learning to wind surf in a sheltered portion of Kanaha Beach, north Maui. 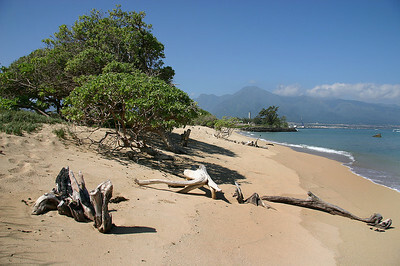 A view of the West Maui Mountains and 'Io Valley (V-shaped valley at far-left of photo) from Kanaha Beach, north Maui.